Here’s a list of beauty favorites from the past year that are ready to delight your loved ones. Skincare sets are a must-have for everyone on your list (even the fellas), and limited-edition makeup sets will thrill the trend-setters in your life! Shop early for the best selection and guaranteed holiday delivery. Gifts are sorted below by price (highest to lowest). This season, let the Red Collection’s vibrant colors seduce you! This set includes five iconic Le Rouge lipsticks by Maison Givenchy, accompanied by five matching nail polishes, so you’ll be able to adapt your makeup look to suit every occasion while revealing your femininity, no matter the season! This unique set is designed for confident women who like personalizing their makeup to suit their every whim. Celebrate and indulge with Givenchy this holiday season! Click to browse STORE offers at Saks Fifth Avenue or to browse recent BRAND offers from Givenchy. Correct and protect your glow with this five-piece suncare set. This luxurious collection keeps skin hydrated, luminous, and above all–safe from the sun’s powerful rays. 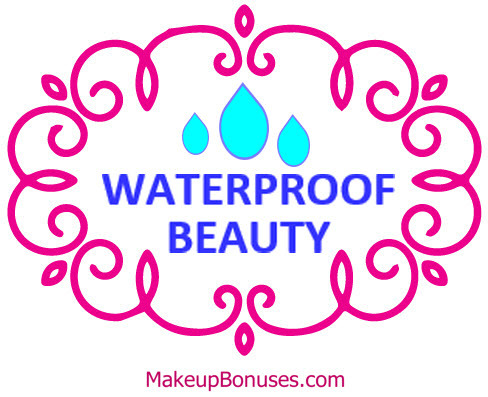 Limited edition – get this value set while you can! 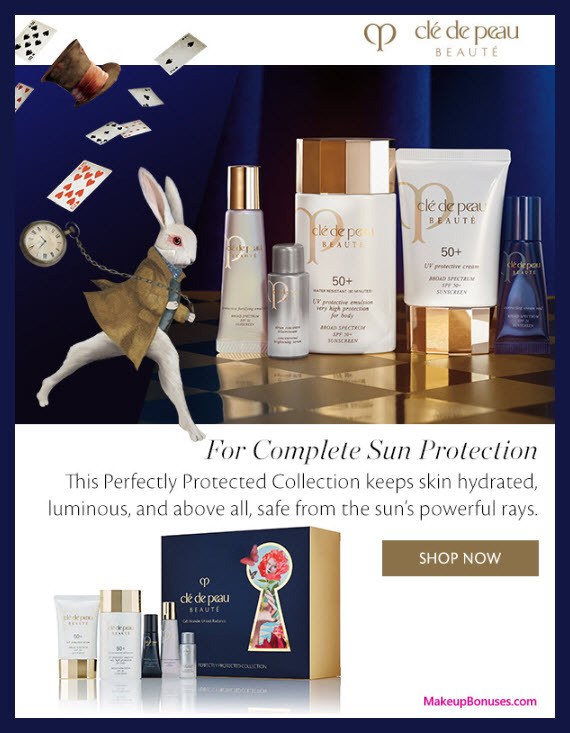 Click to browse STORE offers at Clé de Peau Beauté or to browse recent BRAND offers from Clé de Peau Beauté. DERMAFLASH’s 2.0 LUXE Exfoliating Device (in a choice of colors) gently removes the outermost layer of the skin to unveil a smoother and more luminous complexion. 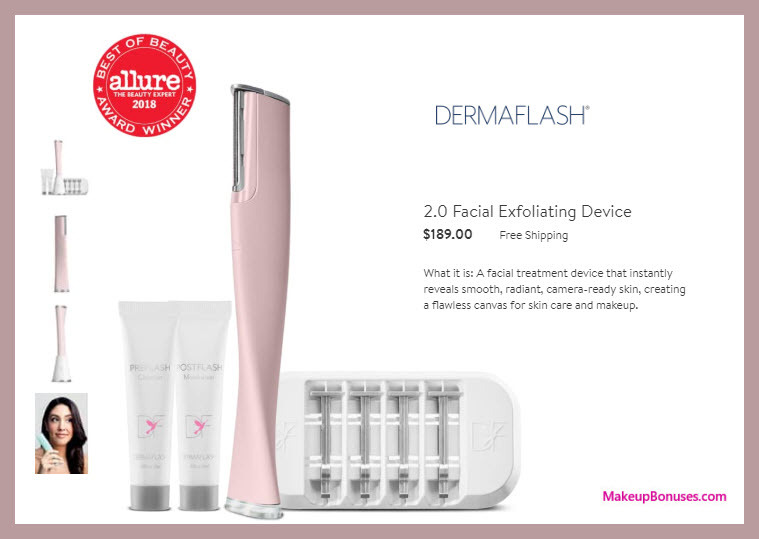 Inspired by dermaplaning, a skin treatment only available in medical spas or doctor’s offices, DERMAFLASH is the only at-home exfoliating device that uses a subtle sonic vibration and stainless steel edge to remove dead skin cells and fine hair from the cheeks, jawline, lip area, chin and forehead. In just three simple steps, DERMAFLASH leaves you with radiant skin. This is suitable for all ages, skin tones and types, and gentle and safe for those with sensitive skin. Click to browse STORE offers at Nordstrom or to browse recent BRAND offers from DermaFlash. One Essential Detoxifying Serum (0.24 oz. ): a detoxifying serum that targets pollutants to eliminate toxins of various origins identified in the skin, leaving skin fresh, smooth and re-energized. Capture Totale Multi-Perfection Serum (0.24 oz. ): a total youth skin care serum that intensely and deeply replumps the skin, contributes to the revitalization deep within the skin and restores the face’s appearance of natural, plumped volume and youthful contours. Capture Totale Multi-Perfection Creme Universale Texture (2 oz. ): a creme that tones the skin from its deepest layers to its surface. Capture Totale DreamSkin Advanced Global Age-Defying Skincare (0.24 oz. ): a new-generation treatment by Dior capable of instantly restoring very beautiful, naturally enhanced and radiant skin while diminishing signs of aging. 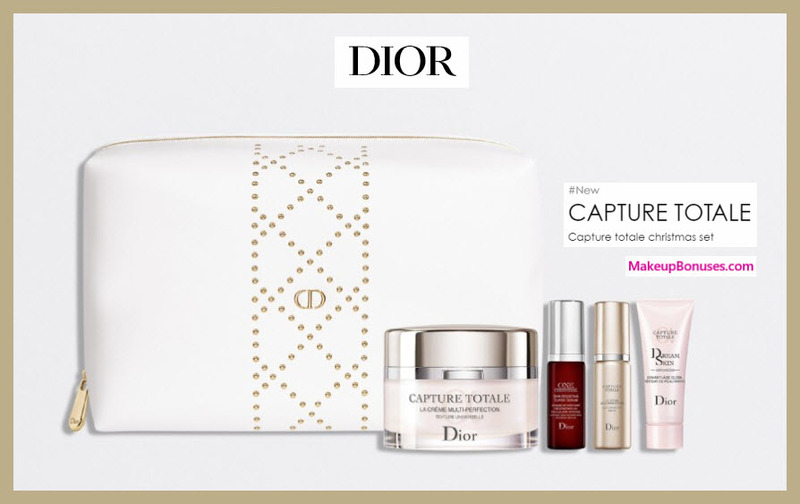 Click to browse STORE offers at Nordstrom or to browse recent BRAND offers from Dior Beauty. 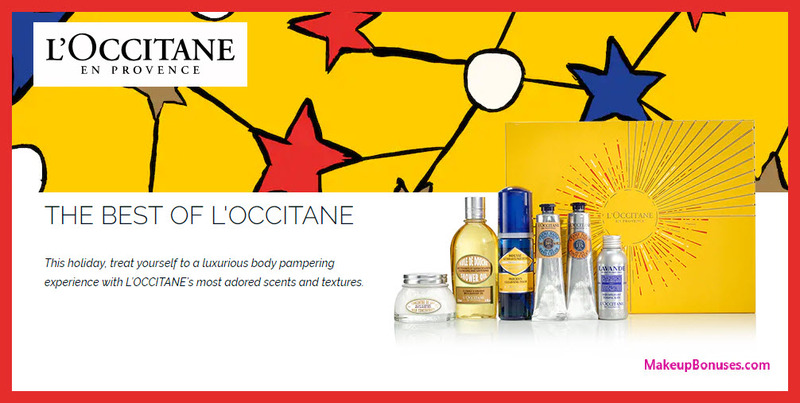 This holiday, treat yourself to a luxurious body pampering experience with L’OCCITANE’s most adored scents and textures. Since 2008, L’OCCITANE has been involved in protecting 150 varieties of plants, including immortelle flowers, almond trees and lavenders. It is with this commitment to nature that we produce beauty care inspired by nature. Dive into the holiday selection and discover why customers love these best sellers. Almond Milk Concentrate Net Wt. 3.5 oz. Almond Shower Oil 8.4 fl.oz. Shea Butter Hand Cream Net Wt. 2.6 oz. Shea Butter Foot Cream Net Wt. 2.5 oz. Immortelle Precious Cleansing Foam 5.1 fl.oz. 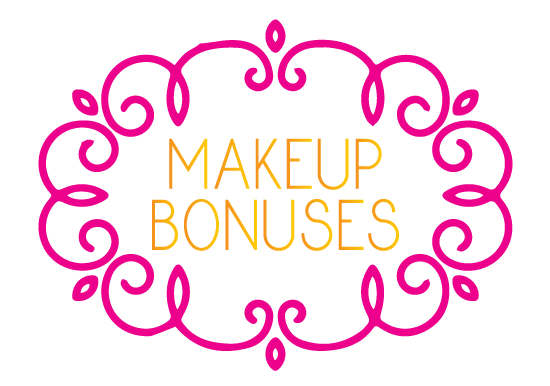 Click to browse STORE offers at L’Occitane or to browse recent BRAND offers from L’Occitane.